PokerStars offers promotions specific to certain regions, requiring that people live in a certain place in the world in order to participate. An example of this is in their poker leagues. If you want to join a poker league at PokerStars, you play scheduled MTTs so that you can compete for leaderboard points. The goal is to earn as many points as possible so that you can reach the top of the leaderboard. There are always great prizes in store for those that can top the leaderboard at the end of each month. There are monthly leaderboards available for those that live in Australia and New Zealand, and the amount that they can win depends on the division they choose to play in. Division 1 hosts daily tournaments for $5 at 19:00 AEST, and it has a monthly first prize of $300. Division 2 hosts daily freeroll tournaments at 19:15 AEST, and it has a $100 first prize every month. Division 3 allows you to buy-in for 2,000 play money chips every day at 19:30 AEST, and it has a monthly first prize of $40. Each month there are prizes for the top 100 of each division. Those living in Finland have the chance to play in the Finnish Poker League. You’ll notice that the tournament buy-ins for this league are quite a bit higher than in the Australian league, but the prizes are several times better! This league has two divisions, and both of them have monthly cash prizes. If you choose to play in the FPP league, you pay 25 FPPs per tourney and can win a cash prize of up to $250. The cash division requires that you pay $11 at 19:20 CET to enter each tournament, but the monthly 1st prize increases to $1,000. You’ll need to finish in the top 50 of one of these divisions to win a cash prize. PokerStars also offers European Poker Tour seats for the most successful players in the league. The top 9 players in each league are invited to a freeroll four times per year, and the freerolls award a seat to an EPT event. The last regional poker league I will talk about today is that from Norway. The Norwegian league is very similar to the Finnish league, although there are a couple differences to take note of. First off, the tournaments start at different times. A second difference is that the Norwegian league offers EPT freerolls for its top players five times per year rather than four. The goal of the internet was permanent connectivity. Smartphones and portable tablets have made that future a reality, so it was only a matter of time before online poker caught up with the trend. 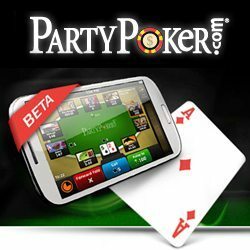 In January, bwin.party became the first gambling company to release a real money online poker app for the iPhone. The bitesize software nugget allowed users to join the Ongame network and play against real people for cold hard cash using the mobile app. Now the firm have launched an Android version, gobbling up the other half of the smartphone market in one fell swoop. The new app allows users of Google’s OS to join a single table of No Limit, Limit, or Pot Limit Hold’em. Just like the fully fledged downloadable software, players can preselect actions while the play moves towards them. The developers have hinted at the potential for a tablet version with the ability to play in multiple games at once. You’re also limited to only cash games, with stakes for No Limit stretching no higher than $3/$3. Ongame’s head of poker, Fredrik Kjell, is fully on board with this strategy. “For me it’s a pure casual player product, primarily because you can only play one table.” Clearly this is an app for the recreational player, but even hardened pros could get a blast out of blowing off some steam on the move. Although the new Android is still fairly limited in terms of usability, it’s exciting for the potential it unlocks. It proves that playing poker for real money on your phone is a very feasible option. As mobile developers master this new kind of application we can expect more complicated software to emerge.